If there’s one particularly discerning group of people you can trust when it comes to beauty and skincare, it has to be the editors. 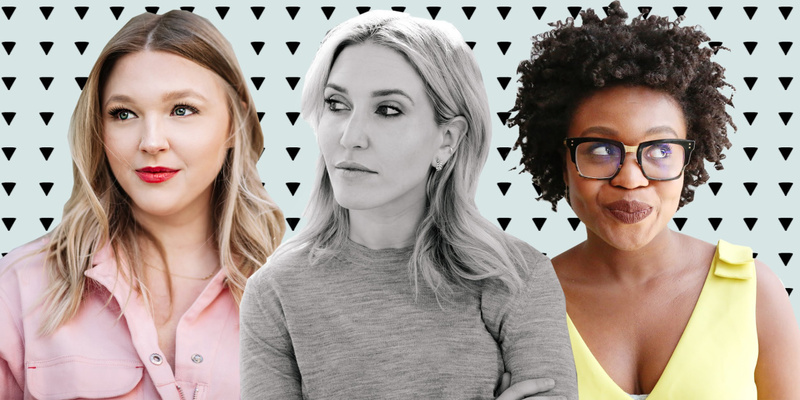 They’re privy to the latest skincare launches, the biggest beauty trends, and the most exciting industry news as it relates to achieving a poreless, spotless, wrinkle-less complexion. You don’t need to take our word for it, though — just look at their gorgeous, glowing faces. We asked three beauty editors about their current nighttime regimen to see which products make the cut and how devout they are when it comes to washing and slathering. Muenter tells us that on any given evening she’ll allocate roughly 20 to 30 minutes toward her nightly regimen. Sometimes that’s not possible so she’ll abbreviate the routine, but the full shebang is her regular goal (if you’re lucky, you can catch her talking about her skincare routine on her Insta stories, which she does pretty frequently). Naturally, step one is cleansing. After cleansing and toning, Muenter moves on to a buffet of hydration, which includes oils, serums, eye creams, and moisturizers. She told us she’s also really loving Lumene's® Valo Nordic Glow Boost ($25) at the moment. For eye cream, she reaches for Sulwhasoo’s® Timetreasure Renovating Emulsion ($115), and Drunk Elephant’s Protini™ Polypeptide Cream ($68) is her current go-to moisturizer before hopping into bed. We’re all human, including editors. Rosen told us that she has an “ideal nighttime routine” — which she realistically does about four or five times a week, and an “I’m so tired” routine that’s not quite as involved. Following that, Rosen says she’ll continue with Renée Rouleau® Firm + Repair Overnight Serum ($73) and Valmont® Essence of Bees Sérum Majestueux Vos Yeux ($305) before applying a cream. She says that if she’s wearing makeup, which is very rare, she opts for a triple-cleanse method that begins with Simple Kind to Skin® Cleansing Facial Wipes ($11) to remove everything. Next, she’ll reach for Dermalogica® Precleanse Balm ($15) followed by It Cosmetics Confidence in a Cleanser™ ($28). If there’s still some stubborn eyeliner that won’t disappear, it’s time for a little Bioderma® Sensibio H2O ($15) micellar water action. “After one night using this, I can see a difference in the mirror the next morning. My skin just looks brighter and glowing,” she says. On nights where she wants to switch it up, she’ll opt for the Biossance® Squalane + Phyto-Retinol Serum ($78) instead. The icing on her skincare cake? Dermalogica® Sound Sleep Cocoon Transformative Night Gel - Cream ($80), a motion-activated cream that emits soothing scents of lavender, sandalwood, and patchouli any time you shift in your sleep.